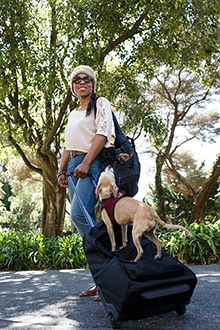 San Francisco State University is rolling out the red carpet for new students and their families with Welcome Days, its annual week of orientation sessions, panels and free food and fun. The festivities begin on Move-In Day -- Thursday, August 20 -- and conclude with a Student Organizations and Resource Fair on Monday, August 24, and Tuesday, August 25. While the events are spread out over several days, one will be the busiest and most important for new students: Friday, August 21. During two sessions (one from 2:30 to 3:15 p.m. and one from 3:30 to 4:15 p.m.), the University will offer more than 30 presentations in classrooms across campus. Such workshops as "Making the Most of College: Tools for Success," "Gator Athletics & You," "Finding Community for LGBTQ Students" and "Pathway to a Teaching Career" will help incoming students hit the ground running when fall semester classes begin on August 24. Move-In Day will bring thousands of new Gators (and their friends) to campus. "Not only does our programming involve preparing students academically for SF State, we also understand how important it is for students to engage socially with campus and with their new peers," said Assistant Dean of Students Brian Stuart. "When research suggests that the first six weeks of a new student's academic career help shape their decision to remain in higher education, transition programs like Welcome Days are of the utmost importance." And Welcome Days isn't just about preparing new students for what lies ahead. Several events are aimed at parents, including a panel on residence hall life on Thursday, August 20; a Q&A with SF State staff and administrators on Friday, August 21; and a dinner promoting the University's Parents and Family Program on August 21. "We believe that outside support systems are integral to students' transition to academic life at SF State, including parents, partners and anyone else who may shape or guide their lives," Stuart said. "We enthusiastically embrace attendance and participation in Welcome Days by all SF State family members." According to Stuart, this year's Welcome Days will be the most bustling ever. 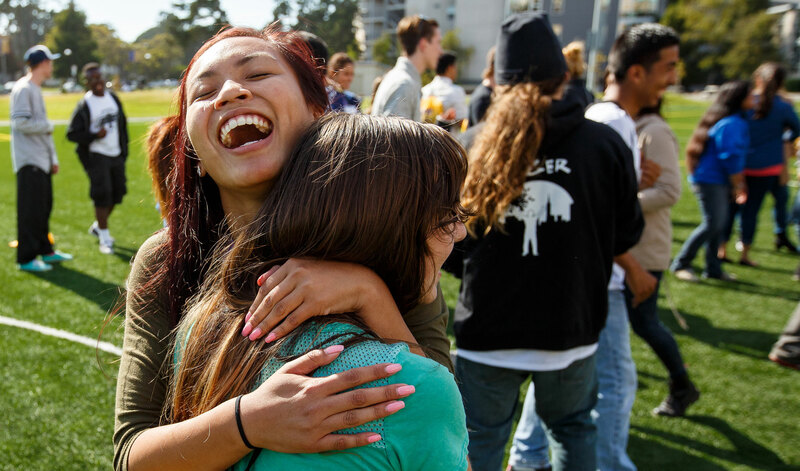 SF State will be welcoming more than 3,800 new freshmen -- the largest incoming class in the University's 116-year history. In addition, a record number of second-year students have decided to live on campus, and residential housing has been expanded by 500 beds to meet the demand. "This is the time of year that excites me the most," said Stuart. "To see the enthusiasm and delight on the faces of students and families alike reminds me every year how important and how powerful attending college can be." More information about SF State's Welcome Days is available at www.sfsu.edu/~welcome. Incoming students are encouraged to RSVP for Welcome Days. A complete schedule of Welcome Days events can be found at www.sfsu.edu/~welcome/schedule.html. Leading up to and during Welcome Days, students and families can follow the conversation on social media -- and add their posts and photos -- using #SFStateWelcome.